Size : 17.2 x 17.6 Weight : 2.47 grams. Obverse : Head of Constantine II right, with CONSTANTINVSIAN NOB C around. 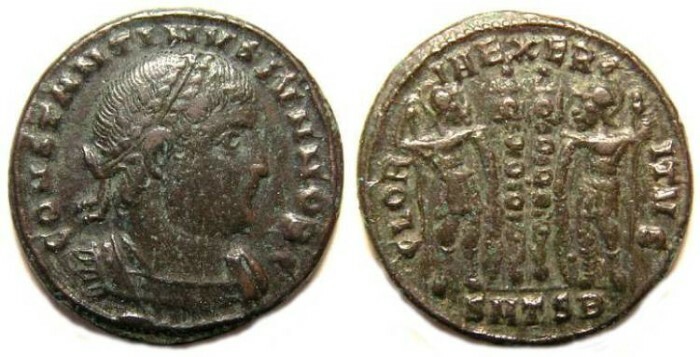 Reverse : Two soldiers standing either side of two standards, with GLORIA EXERCITVS around. The mint mark at the bottom reads SMTSB.